Is this the "blush gold" iPhone? 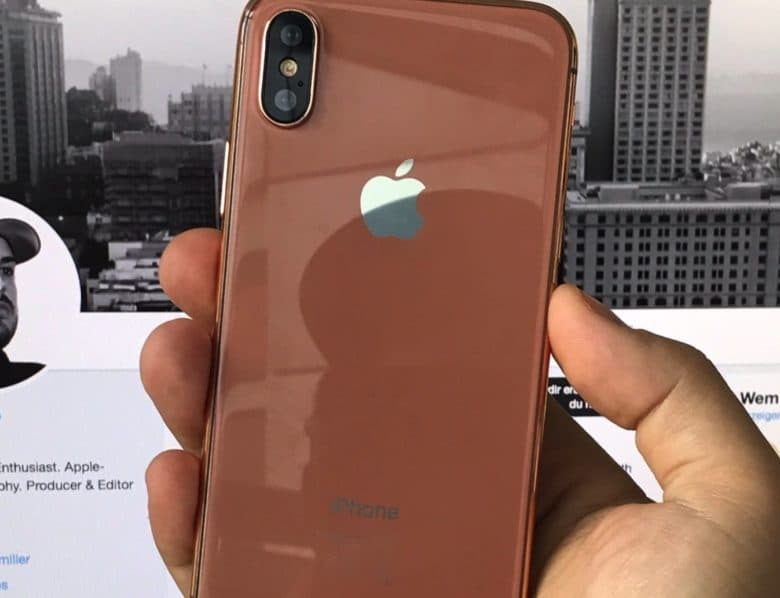 The rumored copper gold iPhone 8 may be called “blush gold,” according to a supposed Foxconn insider. The report, initially posted on China’s Weibo microblogging app, suggests that’s the internal name used to refer to a new iPhone 8 color. Mobile reporter Benjamin Geskin noted the possible name for the new color in Twitter. It’s worth noting that the report actually cites the Chinese characters “腮红金” rather than spelling out the English words “blush gold,” suggesting that (even if this is a legit source) it still runs the risk of being a translation failure, rather than a confirmation of Apple’s new name. A report last week from reliable Apple KGI analyst Ming Chi Kuo suggested that the new iPhone 8 will come in three color options. These will reportedly include black, silver, and gold. Prior to this, other reports had suggested the new iPhone would also come in a mirror-like color option, although Kuo claims this won’t happen. From the look of things — and from previous “leaks” we’ve seen — the new gold iPhone may be a pinkish-copper type of gold, a bit like a combination of the existing rose gold and champagne color options, albeit darker and with more of a brownish hue. Given that Apple likes to release new iPhone colors most years, a new color seems a reasonable bet for Apple’s biggest iPhone refresh in years. With that being said, I’m not sure about the specific blush gold color that’s been shown off. And nor do I think it looks particularly blushing. What does you think? Leave your comments below.